Alarm Hollywood | Motion Sensor | Burglar Alarm Services, Inc.
Total Connect is a reliable application which allows you to take control of your security. Using a smart phone, you can stay informed at all time, with your home or business alarm system. Total Connect will notify you if the alarm system has been armed or disarmed, if a door has been opened, if a motion sensor has been tripped, or if a flood has occurred. You can also use your mobile device to check the status of your alarm system, giving you total peace of mind. When an alarm is triggered, have alerts sent to your email, cell phone, or wireless PDA. 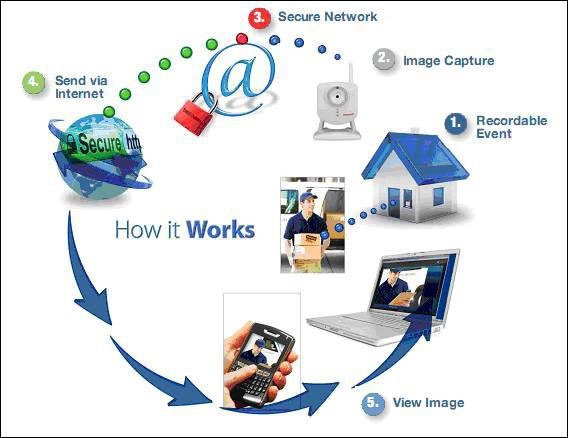 Alarm System / Video System Integration – an "Alarm Alert" activates your security cameras automatically; alarm and disarm your system over the phone or the internet.